If you believe that radon gas is intruding into your home, it's time to take action. Neighbors Heating, Cooling and Plumbing can help. We provide radon mitigation services throughout Iowa. It's easier than ever to get radon levels reduced in your home. Our Radon Technicians have the knowledge and experience to install mitigation solutions in your home and leave you with peace of mind knowing your family and friends are safe. Contact us today to schedule a free estimate! Once you have detected radon gas levels in a home that are above the recommended levels, we can customize a radon mitigation system for your home. With input from the homeowner, a mitigation system will be designed and installed to effectively bring home radon gas down to a safe level. 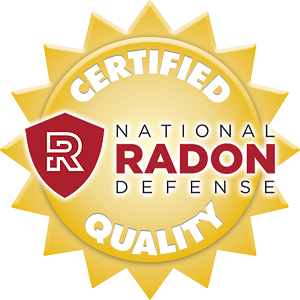 Learn more about radon abatement and the initiatives of the National Radon Defense network of radon mitigation specialists. We service Iowa, including Des Moines, Ames, Urbandale, West Des Moines, Ankeny, Marshalltown, Newton, Boone, Clive, Altoona, Nevada, Johnston, Webster City, Grimes, Story City, Madrid, Iowa Falls, and surrounding areas.